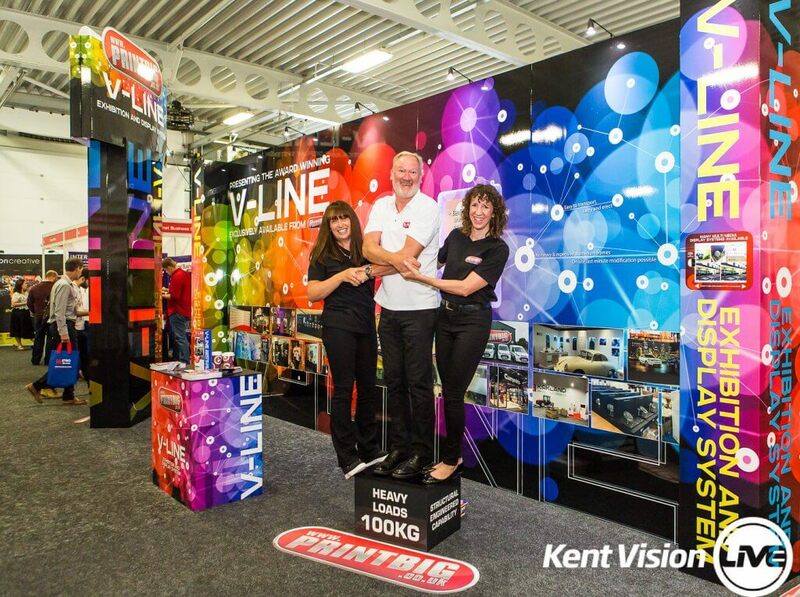 When PrintBig were awarded Best Stand at this year’s Kent Vision Live event, it wasn’t just because their stand looked good, it was because their stand was also their product – the V-Line Exhibition and Display System. The Ashford-based company developed the system in response to a requirement from an automotive customer who needed 60 stands within just three weeks for the launch of a new car. PrintBig’s first thought was to use pop-up systems, but there simply weren’t enough available in the country to meet the short leadtime, so they instead looked to develop something in-house. Already familiar with the qualities of lightweight foamboard FOAM-X®, PrintBig’s in-house design team set about really challenging the material’s weight-stability ratio. They discovered that using a V-line cut gives the material rigidity both vertically and horizontally. This meant that they were able to develop a display system that did not require additional frames or supports, keeping the number of parts, and cost, to a minimum. Using a Zund G3 cutter, they are able to hinge, shape and cut the FOAM-X® to create a range of freestanding stand options and totems up to 3m in height that require only stainless steel bolts to hold them together. They can be assembled by non-experts and are simple to reconfigure to suit spaces of varying size and shape. 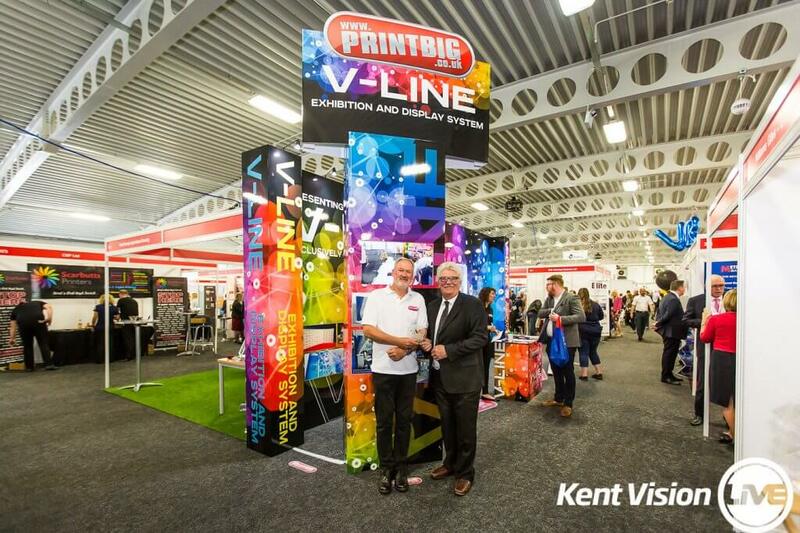 According to PrintBig’s sales director, Paul Abson, the V-Line Exhibition and Display System offers modular versatility and reusability with the kind of finish that is usually only found on bespoke stand builds. The incredible compression strength and rigidity of FOAM-X® coupled with its low weight and superb printability has enabled PrintBig to develop a highly cost-effective bespoke stand and display system. Stands are supplied flat in a bespoke cardboard box that makes shipping or storage cheap and simple. The simple structure of the stands means that they can be assembled in as little as half an hour by one person. The success and popularity of the system has led them to expand the range to include backlit panels and retail systems.